Throughout history, artists have produced their best work when supporting – and inspiring — each other: Van Gogh and Gauguin lived in southern France in the “yellow house” together; Matisse and Picasso, Warhol and Basquiat, Bacon and Freud were all famously friends. Channelling this, the Redlands Konica Minolta Art Prize – now in its 22nd year and held at the National Art School (NAS) — has a curatorial remit that encourages not only collaboration but mentorship. A guest curator chooses twenty established artists that most excite them in Australia and New Zealand; these established twenty artists then go on to choose twenty more emerging artists who they admire. What is unique about the Redlands Konica Minolta Art Prize? Redlands Konica Minolta Art Prize empowers artists to exercise a critical voice as curators and mentors. It showcases art and practice that is important to other artists, over and above commercial and industry agendas. Redlands acquires the winning works. Why is this critical? The prize facilitates the growth and development of a wonderful collection. As a collection it is extremely important as it is within an educational environment. It supports art education and nurtures appreciation, knowledge and critical reflection within younger generations. The importance of this cannot be understated… given the current diminishing support for arts education and culture in Australia. You are renowned as an artist in your own right: this year a major new installation you have created will appear at the 2018 Adelaide Biennial of Australia Art, filling the Art Gallery of South Australia’s atrium space. Made up of 3,000 strands of wire, fixed with multiple colourful plastic rectangles, it is, like much of your work, both dazzling and immersive. Can you tell us a little more about your background and practice? I was born in Sydney, of Greek-Cypriot parents, but work trans-nationally between London, Sydney and Nicosia. I work across scale and there are many points of focus within my practice: aesthetics, memory, politics, the body, spatiality, identity, presence and absence, high art and low art, colour and systems logic. How has your own art informed your choices as curator for this year’s prize? I deem the artists I have chosen as artists’ artists. At their core lies a resolute philosophy of mindful intent, method and focus on studio outcomes over and above other concerns. These are artists whose creative processes and enduring models for practice have not been compromised over time. So what can we expect in March’s exhibition at the National Art School, titled Extreme Prejudice? The 2018 exhibition will reflect a range of material, perceptual, conceptual, political, strategic, subjective and developmental approaches to art and practice that converge with painting. Painting – both as a classifying term and a discipline — continues to provoke serious and pertinent questions about the foundations on which past and current conventions are based. It has the potential to question beliefs and, as history has shown, to alter paradigms. I believe the diversity of this exhibition will present an opportunity both timely and rare for critical dialogue, challenge and reflection. Can you give a few examples of some of the artists featured and why they were chosen? I now see many artists seeking alternative approaches for the production and presentation of art. For example, two Sydney based painters Joe Wilson and Conor O’Shea, who have both been invited as emerging artists in the prize, work across multiple platforms. Wilson has incorporated digital blue and green-screen surfaces into paintings and as large backdrops for installed objects. Where this technology is normally used in digitised special effects, in Wilson’s work they come to represent an empty, indeterminate zone of absence. Conor O’Shea’s 2017 exhibition, Thank you for your email and your interest, but this won’t be possible, featured objects in different materials: paper, ink, wax and stone. How does he seek alternative approaches? Conor O’Shea’s work ranges across objects, web based interactions, curated group projects, publications and discussion panel interviews. This process led model does not rely on a specific material base, but rather a ‘whatever it takes’ approach. In this, a driving imperative of O’Shea’s practice may be to challenge the sacred mythology of art. 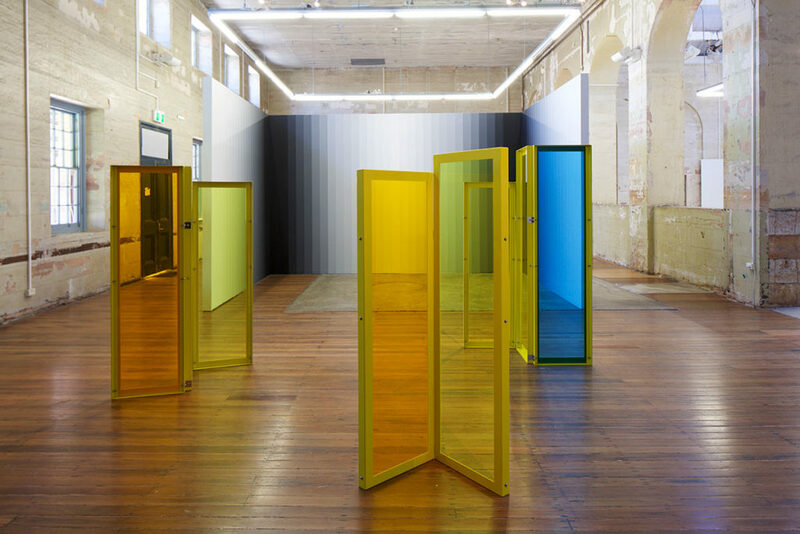 Finally, what emerging trends can you see among artists in Australia and New Zealand? Artists are now relying more on other artists and peer support than in recent years. Whether this is as a direct response to lacklustre government commitment or the diminishing support of art education on the whole – either in schools or just generally — or whether artists are looking for new models of potentiality and are experimenting to seek new platforms for art. Collective discussions are happening more frequently now in the studio environment and in the digital realm more than in recent years. With this comes a sense of empowerment – a sense that they are reclaiming something. Many are side stepping the gallery system to address the agency of art in very different ways, and to open their practice to a broader more immediate online support base. In reading between the lines of this younger generation, they are forging new avenues and new territories of exploration, finding new points of entry, thinking laterally, not accepting the status quo, inventing new systems and new ways. The winner of the Redlands Konica Minolta Art Prize will be announced on March 21 2018. An exhibition of the finalists will be held at the National Art School in Sydney from 15 March to 12 May 2018. 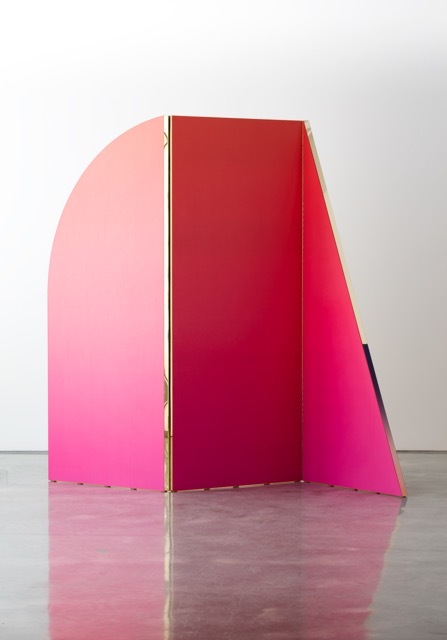 Header image: Consuelo Cavaniglia, Untitled (Screen), 2018, Powder coated aluminium, acrylic sheeting, fixings, acrylic paint on gallery wall, 190 x 300 x 80cm, Courtesy the artist and Kronenberg Wright Artists Projects, Sydney and Station, Melbourne. Join us and receive a bi-weekly digest of all things artful. Accomplice is The Golden Mean's curated newsletter providing our top picks of news, comment, and what’s on across the visual arts. © The Golden Mean 2019. Site by ND.